Born into a family where both his mother and brother are skilled musicians – David Hellquist - the young and upcoming E.D.M producer from Gothenburg, Sweden has always found that music/sound was his main focus in life. Starting in the year of 2008, he felt an eager to create twisting sounds and noises that had been bugging his head and only when he felt he accomplished it he could find peace of mind. The quest is a yet ongoing process, and will always be, but as we say, the journey is the goal isn't it? Now, at the age of 25 – Hellquist is blasting track after massive track out of his dungeon. 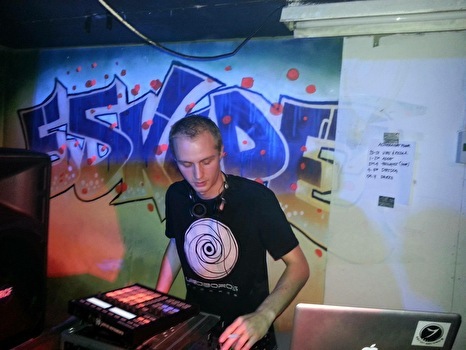 The tunes may vary from Dark Progressive/Psygressive with a "twisted-tech-glitch"-touch to different E.D.M genres such as Techno, Minimal, Deep/Tech House and Dubstep. Releasing with labels like Uroboros Records, Audio Aashram and Zenon Records – Hellquist is sure to continue serving us psyheads with his "digital-acid-deep-in-the-Swedish-forest"-kind of mind altering musical creations.